The decorations on the festival of lights are breath taking. 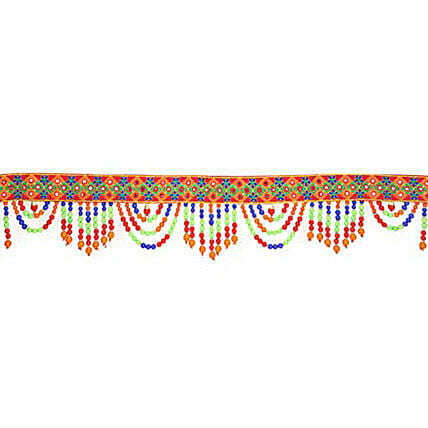 Add-on to this charm of the decorations at the homes of your relatives and friends by sending them this colorful Bandhanwar offered by Ferns N Petals.Your Gift Contains:Bandhanwar. Keep it away from water and direct sunlight. Wipe clean with a soft cloth.